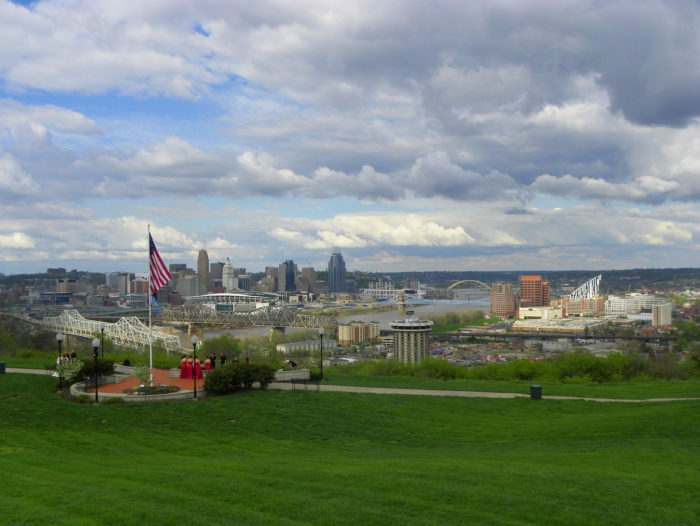 Cincinnati is commonly referred to as the Queen City and it has definitely earned that title. 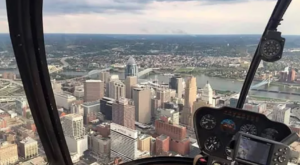 Our city is beautiful from all angles, whether you’re flying over it from CVG, observing it from a riverfront park, or taking in the skyline while enjoying a meal. 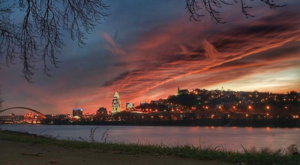 Cincinnati is stunning and there are many places throughout the city to take it all in. 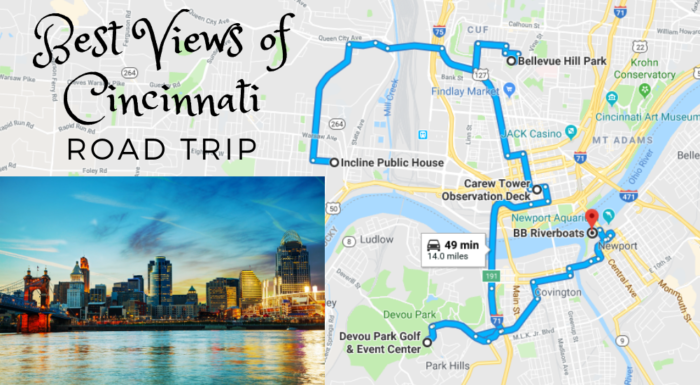 If you want to experience Cincinnati like never before, take this unique road trip that will take you to the absolute best views of our city. If you need to access the map and directions or make any changes, simply click here. 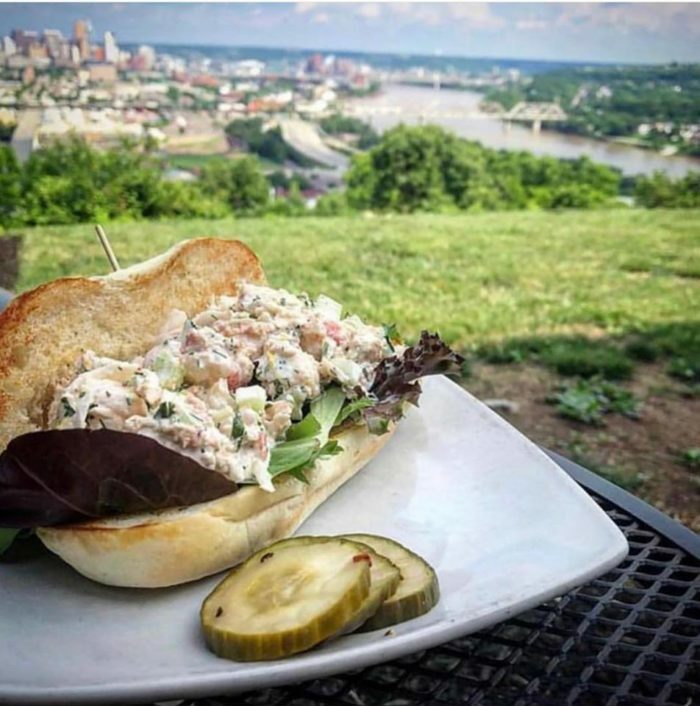 Begin your day in the Queen City with lunch at Incline Public House, located in Lower Price Hill. This restaurant boasts some of the best views of the city, and they're particularly unique from this angle. 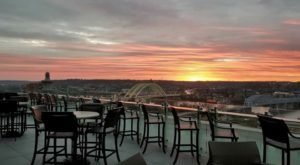 See Union Terminal from behind and sweeping views of the valley, while eating delicious food and drinking a local beverage of your choice. Learn more about Incline Public House and other restaurants with a view in our previous article here. Bellevue Park is a historic hidden gem on Ohio Avenue in Clifton. After eating at Incline Public House, head here for a different perspective of our skyline. 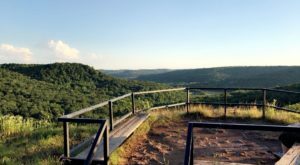 The views are remarkable, but the unique architecture and intriguing history also make this a worthwhile stop. 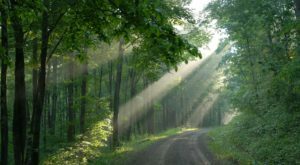 For more on the history of the park, check out our previous article here. 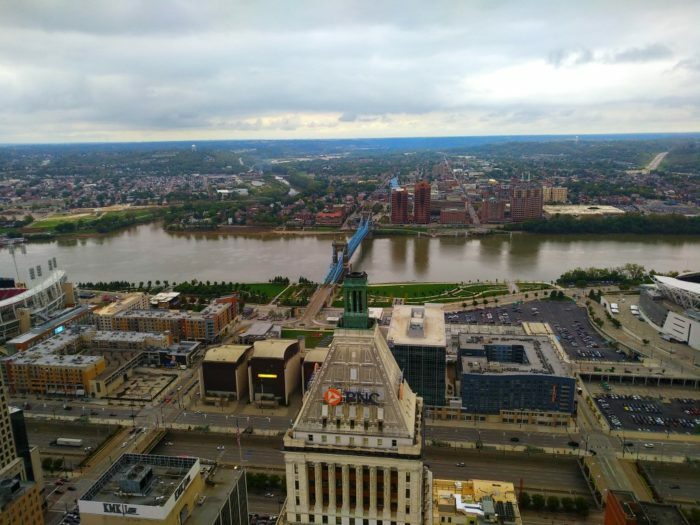 You can't talk about the best views in Cincinnati without mentioning the observation deck atop Carew Tower. This stunning art deco-style building is well known in the city, yet many locals forget to check out the 360-degree views from the top. It's definitely a Cincinnati must and will show you our city like no other place can. For more information on the observation deck, check out our previous article here. For the next amazing view, cross the river and head up the hill in Covington to Devou Park. You'll want to follow signs for Drees Pavilion and you can park in a lot at the top of the hill. 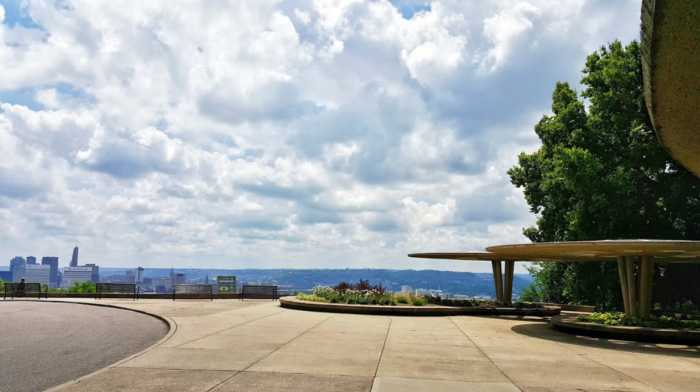 Behind the pavilion is a small area of the park with one of the most beloved views of Cincinnati and Northern Kentucky. 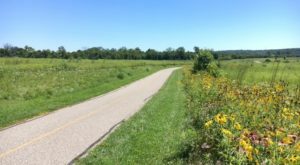 While you're there, be sure to visit the rest of the park, rent a bike, or take a hike through the woods. For more on all Devou Park offers, check out our previous article here. 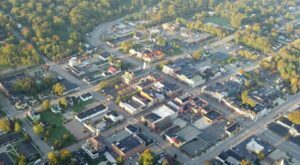 After taking in the views from Covington, head along the river to Newport and board a BB Riverboat. There are many different cruise options available throughout the year and the views from these historic boats are spectacular. A relaxing float on the Ohio River, with Cincinnati shimmering beside you, is the best way to end a day admiring the Queen City. For more information on the BB Riverboat cruises, check out our previous article here. 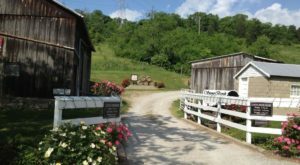 If you didn’t already love Cincinnati, you surely will after this unique road trip. 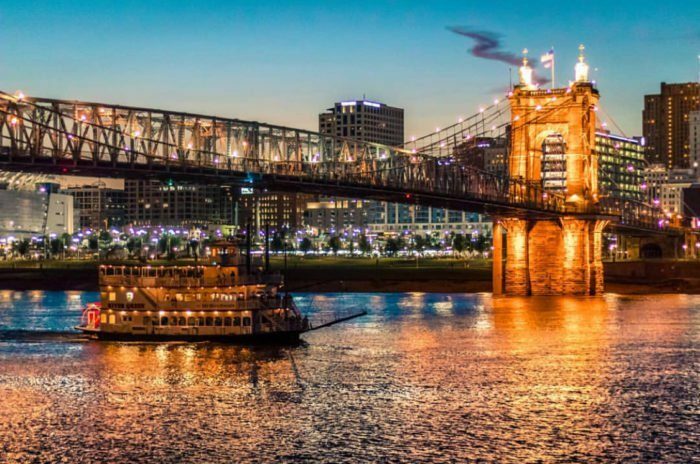 These views of the Queen City are undeniably beautiful and this is a little trip every Cincinnatian — and visitor — should take. Does this sound like a great way to spend a day? Any other stops you’d add? Let us know in the comments!